Israel’s position as a startup nation has been on the rise since 2009. In 2017, in addition to more than 350 multi-national research and development centers, there were also more than 6,000 startups, more than 70 VC funds and more than 200 startup accelerators. OurCrowd Founder and CEO Jon Medved says Israel’s startup ecosystem is set to achieve new records this year, with an estimated $6.5B invested in Israeli startups in 2018. 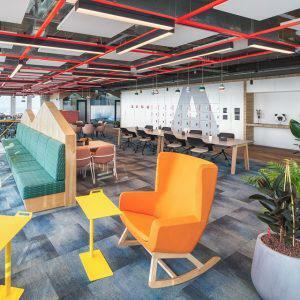 On October 9, 2018, Amazon Web Services (AWS) opened a new office in Tel Aviv, Israel which encompasses the teams working across Alexa Shopping, AWS, Prime Air, and Annapurna Labs. It also happens to be the location of Floor 28, a unique co-working space designed to help both enterprise companies and early-stage startups accelerate the process of building a minimum viable product that is ready for scale and enable venture-backed companies to achieve their next technological milestone or launch a new product. Harel Ifhar, Head, AWS Israel said that when AWS launched in 2006, Israeli technology companies were among the first to adopt the services and leverage the AWS cloud to support their inventions, accelerate growth, and reach global markets. “After rapidly acquiring customers in the early days, in 2014 we opened the first office in Israel to support the growing customer base of start-ups and enterprises. Some of the ‘early adopters’ of AWS in Israel operate in a variety of areas, such as AdTech, web applications, analytics and business intelligence, and include LivePerson, My6Sense, Sisense, Viber and Wix,” said Ifhar. Ifhar emphasizes he believes that AWS cloud has opened up new opportunities for Israeli companies of all sizes pointing out the global success of Amdocs and startup IronSource, a monetization platform with $105 million in funding. Ifhar notes that the new office also has a research and development side. “In this space, our engineers are working on cameras for mobile devices, technologies for Amazon PrimeAir working how to safely get packages into customers’ hands in 30 minutes or less, and the Alexa Shopping group which is working on technology that is core to the Alexa Shopping experience, solving problems in areas of natural language and high-precision search,” said Ifhar. On the healthcare front, Israeli startup MobileODT has raised $9.9 million in funding to create a small, intelligent smartphone-enhanced medical diagnostic tool that enables point-of-care (POCT) diagnosis of cervical cancer which the company believes will simplify the diagnostic process. According to Ariel Beery, CEO, MobileODT, cervical cancer screening involves typically a visit to the gynaecologist for a Pap or HPV test to detect abnormal cells, and if pre-cancerous changes are detected, a more thorough examination of the cervix is performed, using a unique optical system. “Early detection leads to easy and inexpensive treatment, hence the importance of enabling access to screening tests and treatment options in the precancerous stages of the disease to women everywhere,” said Beery. “Using MobileODT’s solution allows any health professional, anywhere in the world, to perform an initial cervical cancer screening via a mobile device, and immediately determine the need for biopsy, saving precious time for patients. Beery says that AWS makes it possible for them to deploy their solution in more than 29 countries around the world.